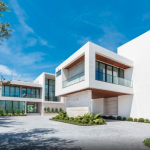 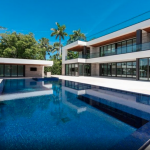 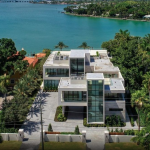 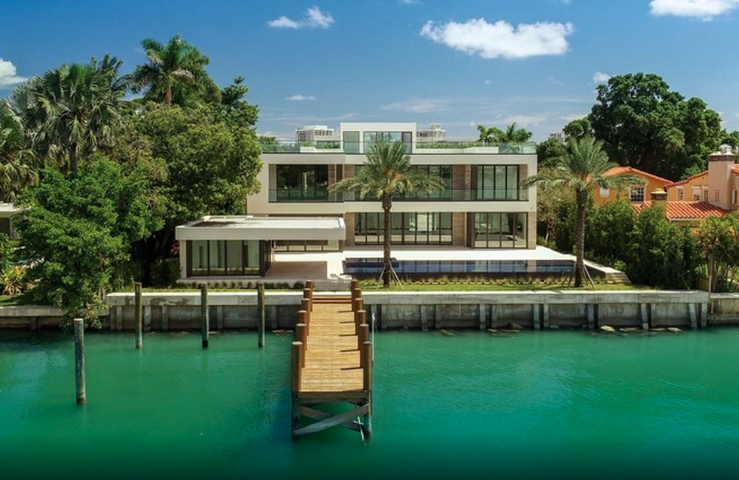 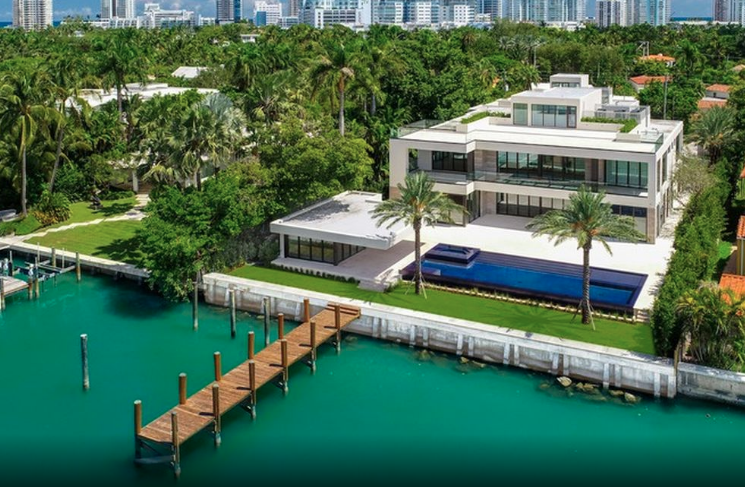 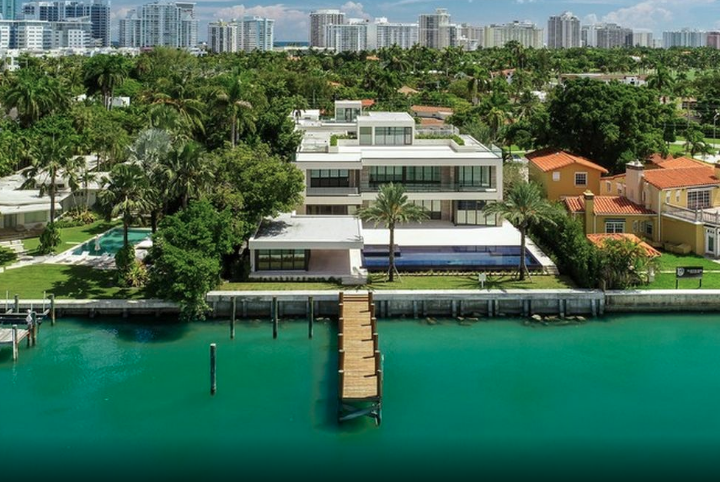 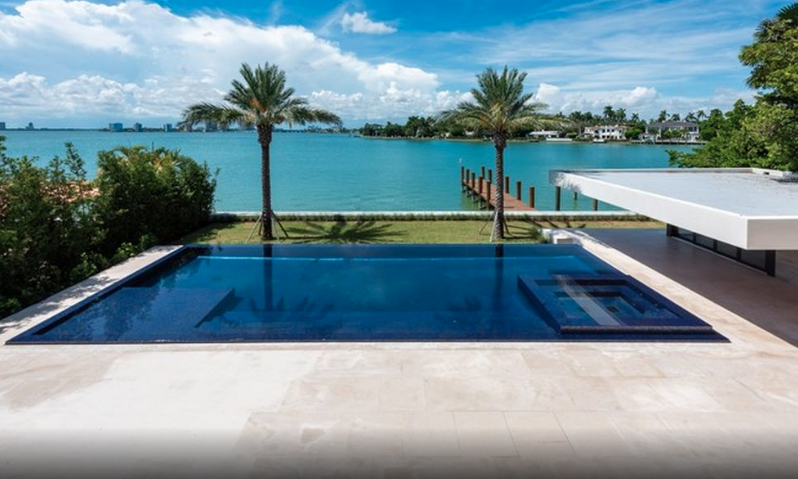 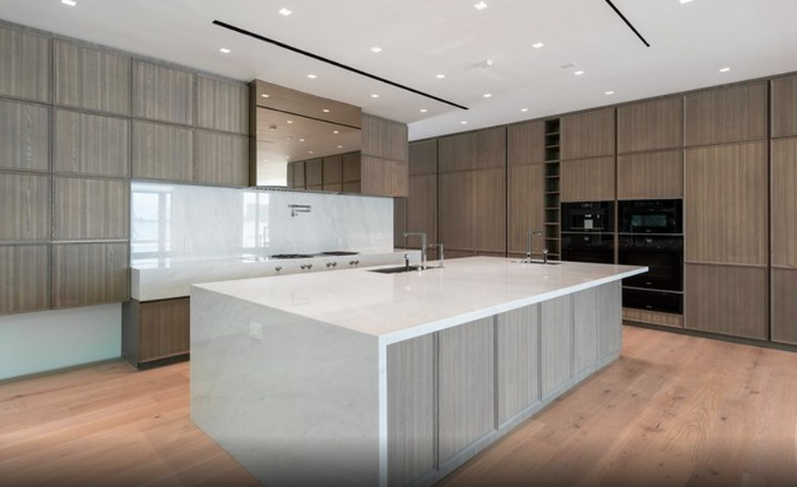 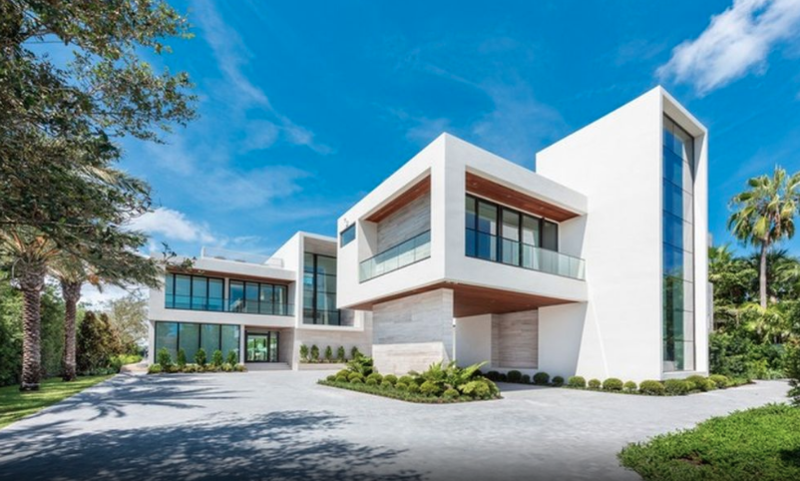 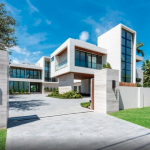 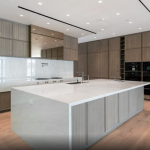 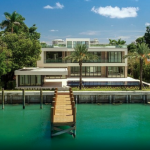 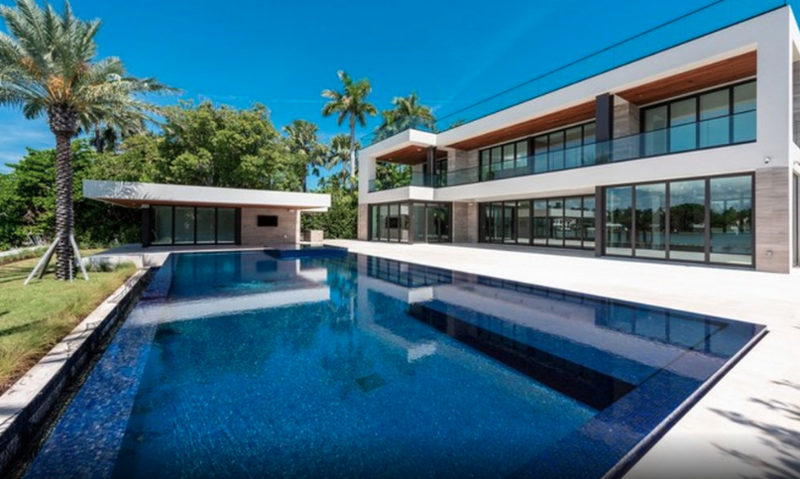 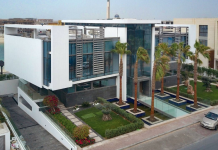 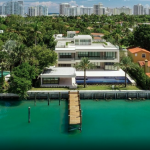 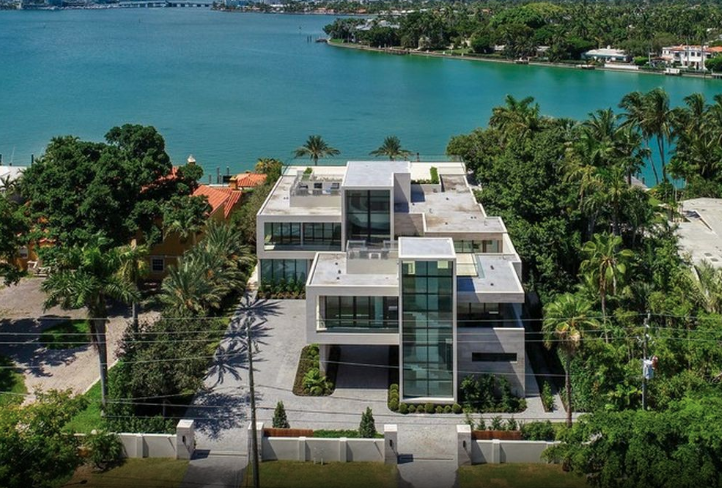 This newly built contemporary style waterfront home is located at 6360 N Bay Road in Miami Beach, Florida and is situated on 2/3 of an acre of land. 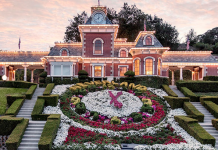 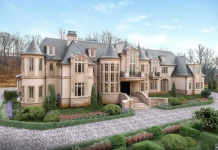 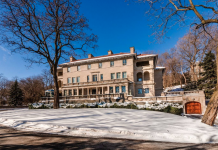 It boasts a main house and detached guest house with a combined total of approximately 13,220 square feet of living space. 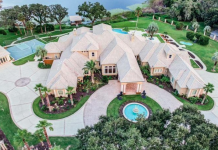 The main house features 7 bedrooms & 12 bathrooms and the guest house features 5 bedrooms (one is currently a gym) & 4 bathrooms. 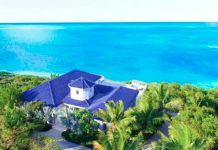 There is also a cabana/pool house with 2 bathrooms, kitchenette and outdoor summer kitchen. 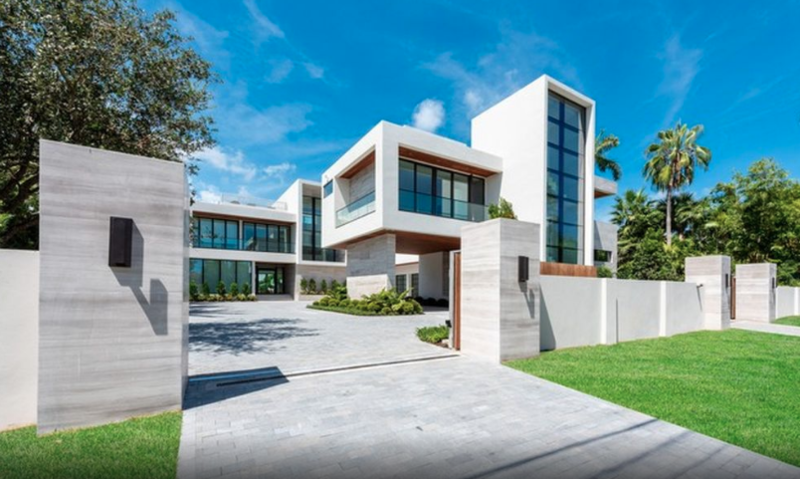 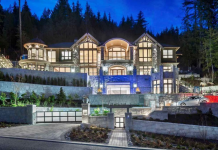 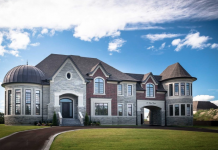 Other features of this newly built compound includes 2 elevators, wet bar, home theater and a 3-car garage. 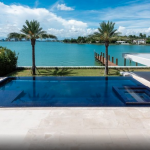 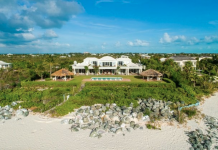 Outdoor features include a gated entrance, balconies, rooftop deck, patio, swimming pool with spa and a dock. 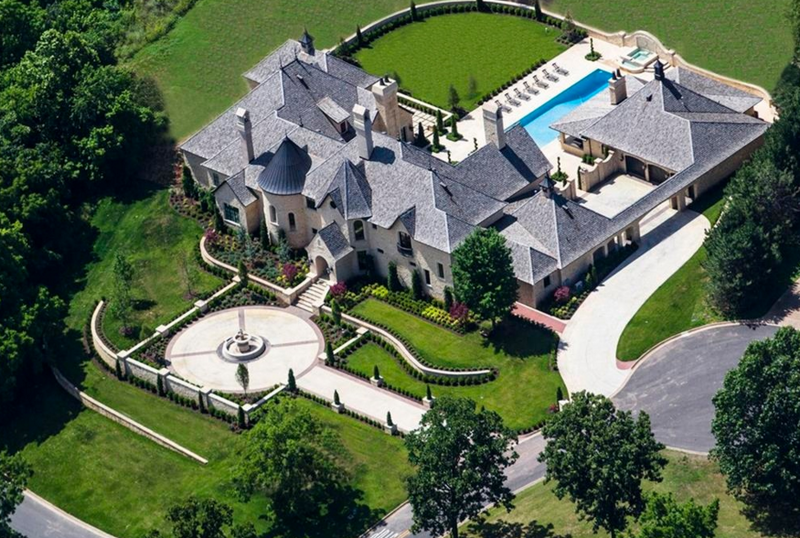 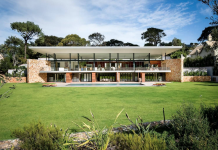 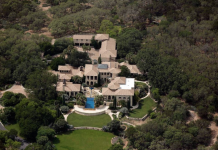 It is listed at $32,000,000.